Locate the domain you wish to update. 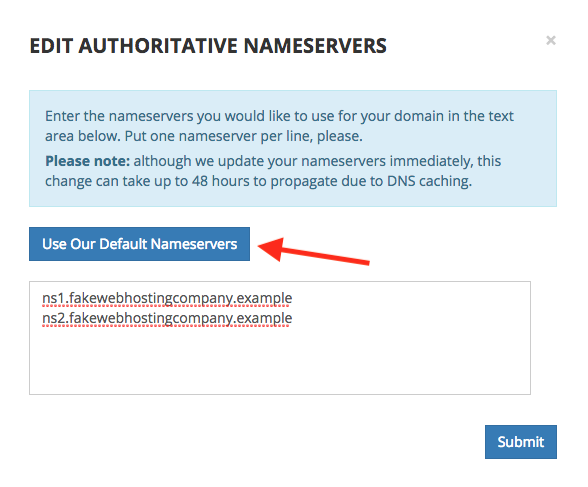 Click the drop-down list to the far right of the domain name and locate the "Authoritative Nameservers" field. Then select "Edit". A pop-up window should appear with your current nameservers. This list specifies which DNS servers will be queried when a user looks up your domain. Click "Use Our Default Nameservers" to populate the list with Porkbun's nameservers, then click "Submit" to apply the change. Changes to your authoritative nameservers will take up to 48 hours to propagate worldwide. In practice, most places in will see the change within a few hours. 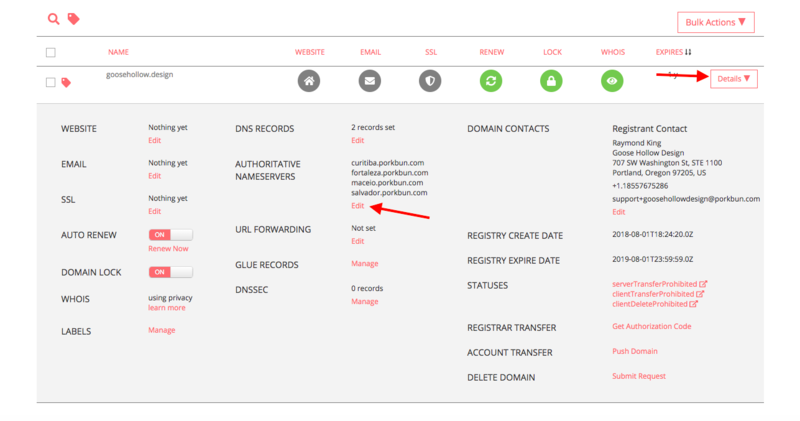 To track nameserver propagation, you can use a free service like www.whatsmydns.net and select NS as the record type.